Ho Chi Minh city is the most populated and the economic, educational center of Vietnam. 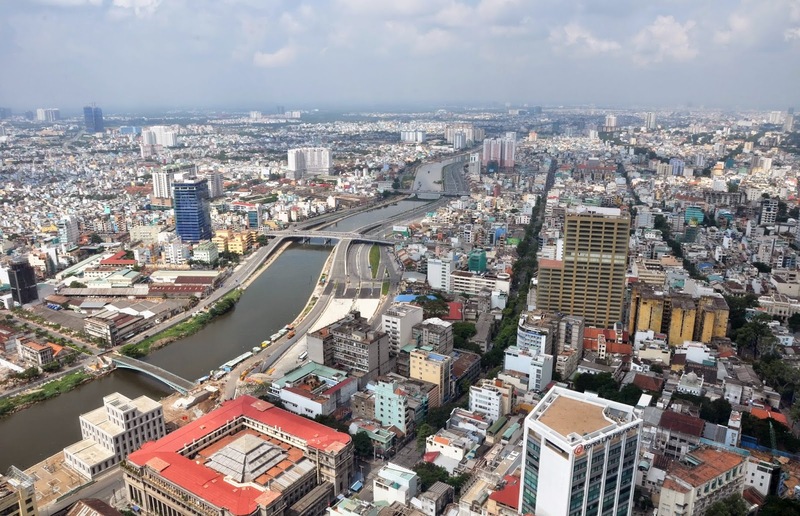 It developed to become the most important economic area of Vietnam as well as is the leading city in other industries, such as tourism, agriculture, etc. In 1968, Nguyen Huu Canh built Gia Dinh Palace as a remark the foundation of this city. When the French came to Indochina, they established Sai Gon city to serve their political objectives. It grew quickly in economics and became one of two most vital cities of Vietnam, also considered as the pearl of Indochina. It was the capital of Indochina Federation in the period of 1887-1901. After reunification in 1975, Sai Gon was renamed to Ho Chi Minh City after the greatest president of the country. Regarding tourism, Ho Chi Minh is well-known for historic sites, the most famous building is Reunification or Independence Palace. It was built in 1868 after the French army conquered 6 provinces in the South. The construction was laid on the area of 12 ha, including a big palace with front face of 80 m, the living room can hold up to 800 people and a garden in front. Most of the materials were shipped from France. After its completion in 1873, it was named Norodom Palace after the contemporary Cambodian King Norodom. It was used for Cochinchine Governors, later it was employed for Governors of Indochina-France. In 1945, it was used by Japanese Governors for 6 months until the French returned to conquer. On April 30, 1975, the tank of Vietnamese Communist crashed through the gate of the palace, which remarked the end of the war and the unification of the North and the South. The replica of the tank still remain on the lawn outside. The palace today is used as a Museum to exhibit all the remained original equipment, facilities and furniture of the Indochina-French Governors. There is also a photo gallery and a propaganda film showing how the South Vietnamese supporters and American imperialists surrendered to Ho Chi Minh’s indomitable revolutionary forces and they were forgiven to live a peaceful life. War Remnants Museum was open in less than 5 months after the fall of the South Vietnamese regime. The museum displays the US military hardware in the war, such as tanks, jets, helicopters, howitzers outside of the building. In the interior, it displays American cruelty to Vietnamese people in the past, including the gallery of gruesome photos, the “tiger cage” prison and jars of deformed foetuses attributed to contamination by Agent Orange. On the third floor, there is an exhibition of the stories of the journalists from all over the world who documented and died during the Vietnam War. Another important buildings attributing to history of Sai Gon are the City Hall or People’s Committee Hall on Nguyen Hue Street, Museum of Vietnamese History in the intersection of Le Duan and Nguyen Binh Khiem street and Ho Chi Minh Museum on Nguyen Tat Thanh street (the name after his birth name). In addition, when visiting Ho Chi Minh city, Immaculate Conception Cathedral Basilica or Notre-Dame Cathedral is a place that tourists should not miss. It was designed and finished in 1880 by French; and all of the materials made of the cathedral were shipped from France. The bricks used on the outer surface of the cathedral were made in Marseille, France and still remains the bright red color. The architecture of the building followed Roman style with some Gothic features. The statue of Maria was located in front of the cathedral many years later in 1959 after the priest ordered it from Italy and shipped it to Vietnam. The statue is considered the spirit of the whole complex because of the its original objective to be put there. The priest made a ceremony of prayers for peace that he supposed Maria would bring. The cathedral has become the cultural and social center of the citizens thanks to its unique and outstanding architecture and the commodious space in front of the buiding. Another typical religious buildings of Sai Gon is Central Mosque, where was initially constructed for worshipers from southern India, but now Muslims from as far as Pakistan and Indonesia come to pray. The symbol of Buddhism in Sai Gon is Thien Hau pagoda, which dedicated to the sea goddess. She left two giant turtles to keep an eye on things in her absence. On 23rd March in Lunar Year, there is an annual festival in honor of her contribution and protection of people. The pagoda remains the fascinating sculptures and engravings from its birth. In addition, Quan Am and Phung Son Tu pagoda are also popular buildings of Buddhism within the city. Beside the historic and religious old buildings, Sai Gon has many modern buildings that reach the world standard. The landmark of the city is Bitexco Financial Tower, the most exciting commercial property development undertaken in Vietnam to date. The world renowned American architect Carlos Zapata, the creative mastermind of Bitexco Financial Tower, was inspired by the National flora of Vietnam: the lotus. The lotus, to Vietnamese and many Asia countries, is a symbol of purity, commitment and optimism. The image of the building conveys the message of the ascending development of the city yet preservation and respect to tradition. 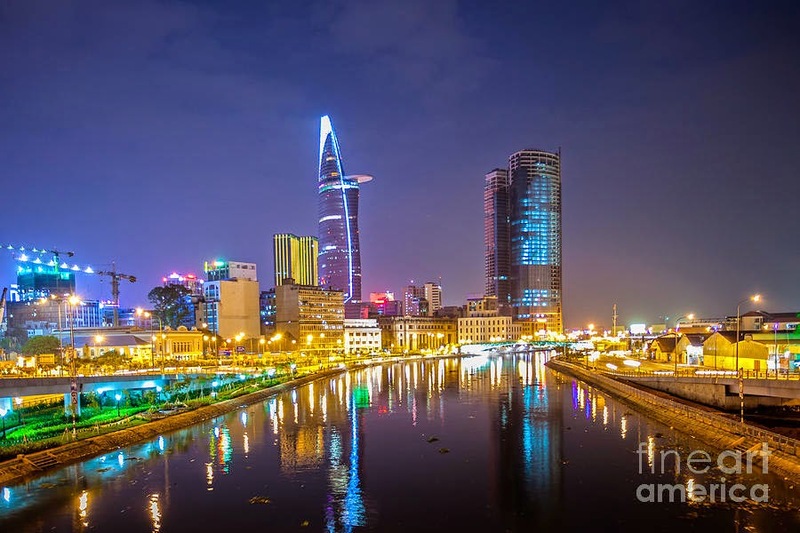 The Observation Deck (Saigon Skydeck) on level 49 of the tower offers sweeping fantastic view of the whole city and Saigon River; especially at night the whole city seems sparkling in the darkness.